Mars' greatest secret is about to be found. The cuts made makes the mission move faster, and gives it more urgency. Nearly all the romance has been removed, which means one scene loses it's impact, but it it's a small trade off. And, Phil doesn't sound like an arse with his sarcastic lines anymore!! All in all, a more to the point movie. To make the mission seem more urgent than it was in the original. To remove most, if not nearly all the luvvee-duvvee scenes. To make Phil more likeable. To get to the damn point!! Livinginoblivion for viewing the completed article. After viewing the film so many times it made my head spin, I kept thinking 'why is that there?' 'Is that even needed?'. So, I took my pair of virtual editing scissors, and trimmed away 30 minutes worth of stuff that was, basically, filler. As I said, I do regret leaving out one scene, but it's a small price to pay. All the other stuff was just padding. Hopefully, the movie works much better now. - Cut many scenes involving Terri and Woody's romance. Too much of it. And I think I might have removed too much of it as well. Never mind. - Cut Phil's sarcastic lines. He now seems likeable, instead of a t**t.
- trimmed most of the fat, as it slowed the pace down. - Cut the obvious scenes of Jim's wife being in the Air Force/an astronaut. Just the photo is enough to tell us. I think this is a big improvement over the original, as what passed there for character development was just a load of Hollywood cardboard clichés, which are thankfully gone in this edit. Nothing is missed. Editing itself is well done for the most part, and the narrative works fine. Still, I do wish the editor had gone a little further and removed a couple of things that annoy me because they treat the audience like dummies: Luke clarifying that nitrogen plus oxygen is air, and the whole voiceover explanation of what is happening in the Martian "simulation". Guess they had to be sure that those in the audience that repeatedly failed elementary science at school got the idea. I need to warn the potential viewers that the video presents very noticeable interlacing, which is quite puzzling given that this was Blu-Ray sourced and the vast majority of Blu-Rays, if not all, are progressive. Playing the edit on vlc with the Deinterlace option will get rid of the lines but will add ghosting instead, and reprocessing the video with the likes of DVD Rebuilder to deinterlace it would likely produce the same effect. Audio editing was done in 5.1 but final export was downmixed to 2.0 for some reason. This is a well made edit but the technical problems hurt it somewhat. I understand JetSetWilly lost his source project files due to a computer virus so a re-render is unfortunately out of the question. Despite this, I recommend it. 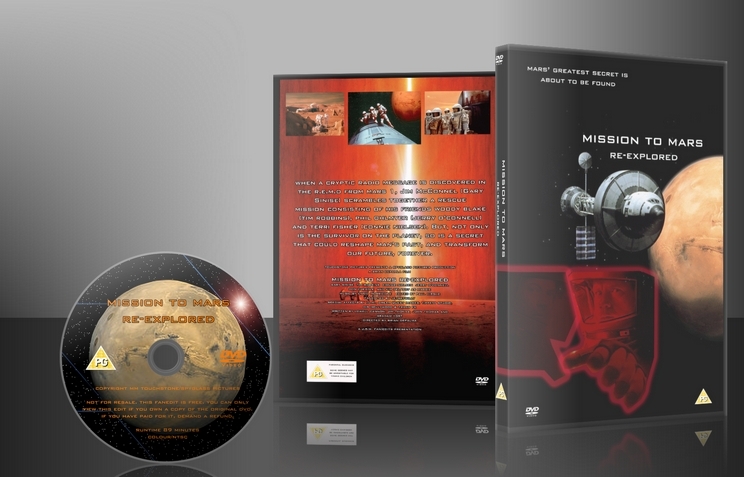 I had never bothered with Mission to Mars before JSW made this. After having watched the original I was tempted to skip watching the fanedit because I was quite bored with the original. JSW’s fanedit puts an interesting spin on the movie by removing the overlong Act 1. The movie now doesn’t spend much time getting to the meat of the story. I liked how a new Act 1 was made, but I definitely felt it lacked some critical character development. It’s interesting because it makes the movie seem less, I don’t know, self-important. Instead of being a character drama that just happens to have people go to Mars, it feels more like an outer space story. One that we’d see back in the 50s if they had better budgets. So that was cool. I listened to your commentary and thought it was quite interesting. I wish you hadn’t cut it so short but I can understand how hard a commentary is to sustain if you’re trying to do it in one take. I highly suggest that in the future (if you do another commentary) if you find yourself quiet for long stretches you stop the recording and come back to it after a little bit. As far as the tech side goes, the quality seemed a lower than normal but nothing too terrible. I agree with Bob that some of the dramatic hard cuts could have been done better as fades. Overall, I liked this version better than the theatrical, but probably won’t be revisiting either any time soon. This is a good and entertaining little edit. I have a soft spot for the original MISSION TO MARS, as I will watch anything directed by Brian Depalma, no matter how bad or awful. 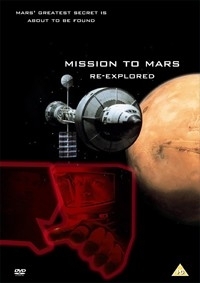 And while I would not call MISSION TO MARS awful, it does suffer in many areas -- too much melodrama and soapy romance, too much terrible comic relief from Jerry O'Connell, too many 2001-type homage moments, and a last act that really delivers no true surprises. In other words, it is a movie that tries too hard to be too many things for too many people, and has no clear voice. Well, I am happy to report Jet has for the most part corrected this problem. His approach is to treat the mission as the priority, and the astronauts as trained professionals reacting to a crisis. Their personal lives and histories are only revealed sparingly, and only through natural conversation during the mission. By doing this, we the audience are immediately engaged and the story gets to Mars much faster. The romance between Woody and Terri is thankfully diluted, but still powerful during their key scenes. But the downside of this story approach for me was the Maggie character has almost been eliminated, thus weakening the story arc for Jim. I mean, it still works, but for me, the relationship between Maggie and Jim was the heart of the original movie and what I actually enjoyed most. Jet has trimmed and/or removed most of Phil's stupid comments and humor, and it works great. He is still clearly the comic relief character, but now it feels more natural, less in your face. My only suggestion, I would have cut out a bit more, specifically his over reaction/fear to the EVA. He is a trained astronaut, picked to go to Mars, I just find it unbelievable he would react in such a manner. Jet has also moved the big opening Mars Sandstorm to later in the movie as a flashback. This both worked and didn't for me. I liked the concept, but the execution I thought could have been longer, as it felt a bit too brief and confusing. Also, it seemed, but I may be wrong, Jet used both hard cut hards to the black and white flashbacks and then later used colour transitions. I would have just chosen either one or the other and stuck with it. The final act is still slow and unsurprising, but this is mostly due to the source material not Jet's editing. Though I wonder if more Maggie scenes had been retained, Jim's final fate might have had more impact? An edit change I love that Jet made was the moving of the typical opening credits from the beginning to the end of the movie. This is smart and works fantastically in concept. I think the new title cards both at the beginning and the ending could have been polished slightly more. But at the end of the day, this was an enjoyable viewing experience. I see a lot of talent in Mr. Jetsetwilly, and I look forward to his future fan edit works with great anticipation and excitement!